Atsushi Shigeta (重田　敦司) was born in 1965. From the beginning of his career he has worked on anime for Studio Sunrise, starting with shows like Zeta Gundam and ZZ Gundam. Shigeta’s area of expertise lie with mecha and effect animation, though he ventures into character animation as well. He seemed to have been attached to Studio Mark in the early parts of his career. Shigeta’s had such a long running relationship with Sunrise and he’s worked on many different Gundam shows over the years, his work on Turn A Gundam stands out especially. Shigeta also has a long running partnership with Yoshiyuki Tomino, often collaborating on many of his directorial works. Shigeta’s animation style has a very clean and detailed look to it. He draws very slick lines and prefers not to draw mecha with any kind of marks or damage if he does not have to, going so far as to remove such small details whenever he is the Animation Director for a project. Shigeta’s effect work in particular is rooted in realism but has a stylistic flair to it, he likes to draw highlights and shadows in the effects to give it volume. From the Gundam Unicorn PV from before the OVA series. 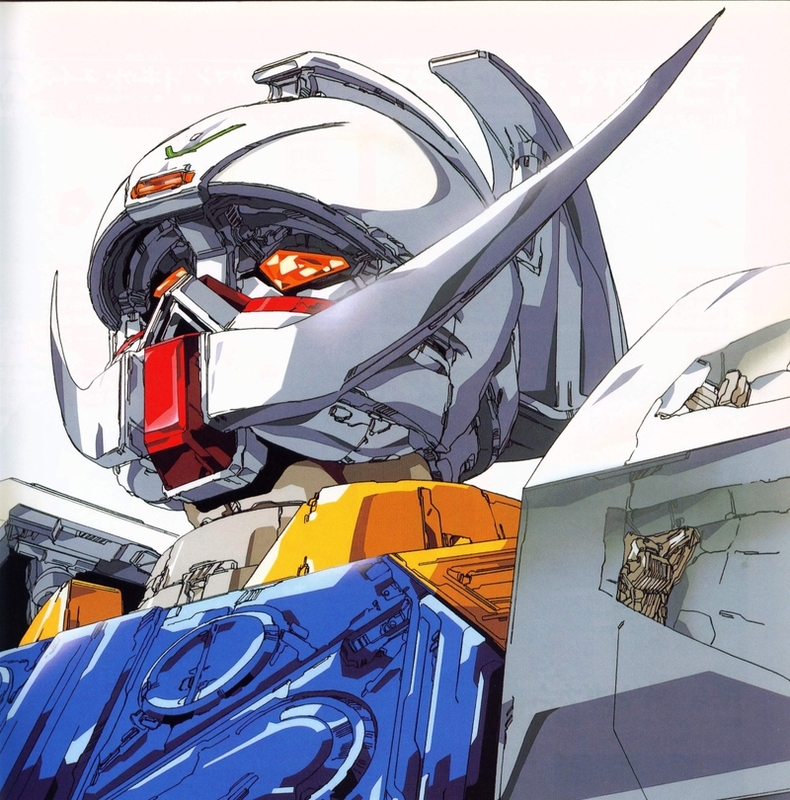 During the 90s Shigeta worked on shows such as Brain Powered, Gundam X and Turn A Gundam where his unique drawing style brought forth a stylish realism not often seen in mecha shows. 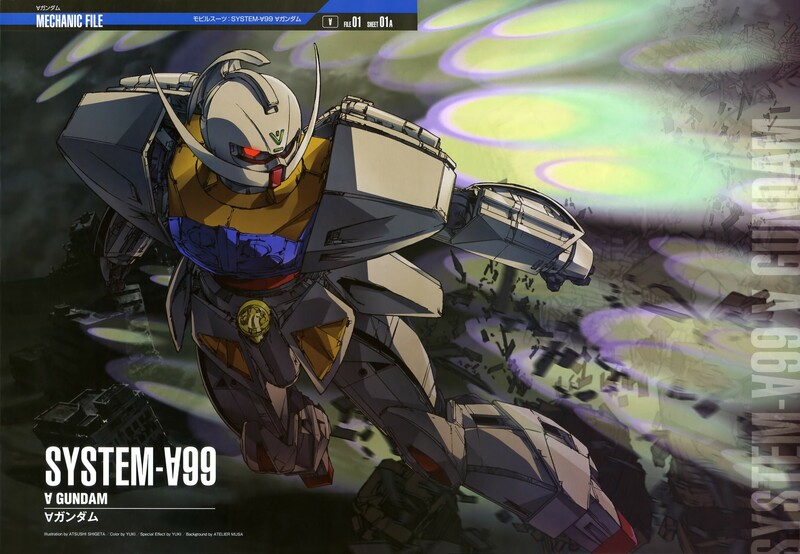 For shows like Brain Powered and Turn A Gundam he even dipped his feet into doing design work, primarily retooling the concept designs into animation designs. Turn A had mechanic designs done by the legendary Syd Mead, who acknowledged and praised Shigeta’s work on the TV series. Mead admired how Shigeta managed to translate his design drawings into great looking animation models. Shigeta himself says that when he first saw Mead’s drawings he was at a loss, he just couldn’t find flow in the drawings. It wasn’t until he decided to draw Mead’s designs over and over again did he finally understand the genius of Mead, it was then that he understood how simple Mead’s designs were. An interesting role Shigeta had was that he helped shape Mitsuo Iso‘s effect animation early on in Iso’s career, by setting him off on the path that lead Iso to do some great work on Gundam 0080. 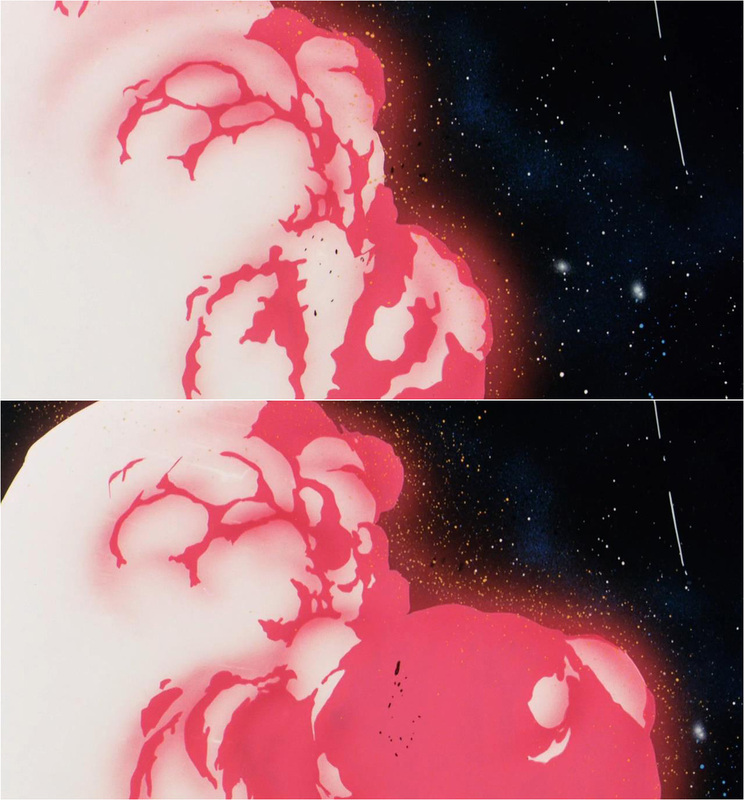 Takashi Hashimoto suggests that Shigeta was in fact Iso’s mentor when it came to effect animation work. When Iso started in the industry he was quite a Yoshinori Kanada/Masahito Yamashita style enthusiast, however he quickly lamented how he was being grouped up with people of this style and wanted to break away. Shigeta was pioneering his own way of drawing effects early on in his career and Iso picked up on that. It is from Shigeta that Iso also picked up the idea of animating primarily on 3s. Shigeta himself says that excluding his effect work the majority of his other work is done on 3s. I believe Iso met Shigeta whilst working on Dragonar(1987), from there they worked together on the Char’s Counterattack(1988) movie. By the time Gundam 0080(1989) was made Iso had managed to blossom and Shigeta’s job was done. In recent years Shigeta has expanded his abilities outside of pure animation. He’s been working here and there as a storyboard artist as well as a director. Shigeta’s also been doing a lot of layout supervision on shows like Phi Brain and Aikatsu. Since he’s had such a long and good relationship with Sunrise Shigeta’s very much the kind of person that gets to chose what projects he works on. To round off this post here is a video reel of Shigeta’s work. I think for some one like him, watching his animation is the best way to get a feel for his work. This entry was posted in Animators, Mini-Post and tagged Animators, Atsushi Shigeta, Gundam, Mitsuo Iso, sakuga, Sunrise. Bookmark the permalink. 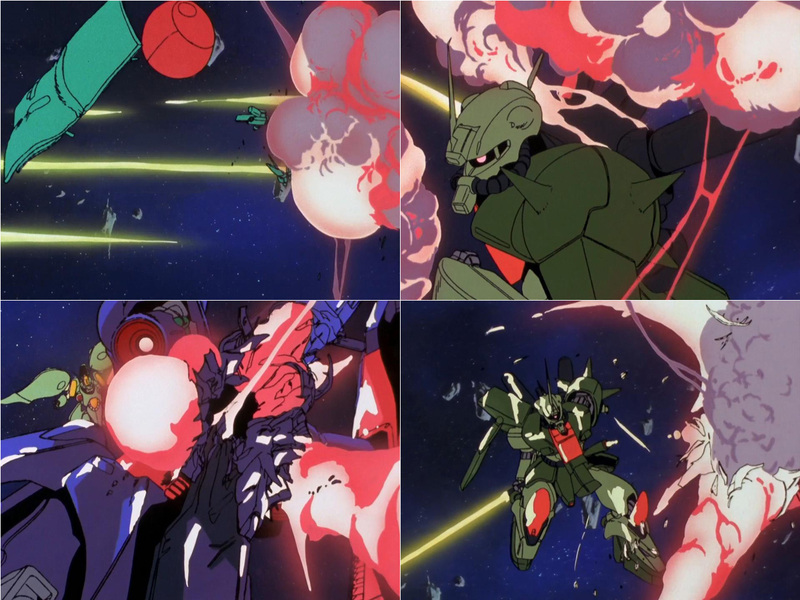 Not much of a Gundam fan myself, but I love the way he animated the fire in that Unicorn PV. The way they would explode, hold for a couple frames, then transition into wisps of flame demonstrates a great control over timing. Glad to see you doing more posts. Their aren’t many sakuga blogs that keep up a regular schedule so I hope you can continue this streak. I just recently started a weekly Sunday discussion thread on Reddit about sakuga (https://www.reddit.com/r/anime/comments/3bgded/spring_week_13_sakuga_discussion_spoilers/). Not sure if you’re active at all on r/anime, but it would be great to have someone with your knowledge contribute to the conversation. I have an account but I post very seldom. I do know of your efforts, I saw the post on the sakugabooru forum, so keep up the good work! I don’t get the chance to watch much anime these days so I can’t comment much on currently airing shows but I’ll see if I can share any information wherever I can. I’m thinking of adding a secondary topic to every post about more general sakuga topics. My idea for this week is to talk about key animators turned directors since Little Witch Academia 2 just came out. uhmm out of curiosity, how do you know who’s responsible for a certain scene in an anime? do they publish a list who’s animator did that, this and those? or they just simply put it on the credits?